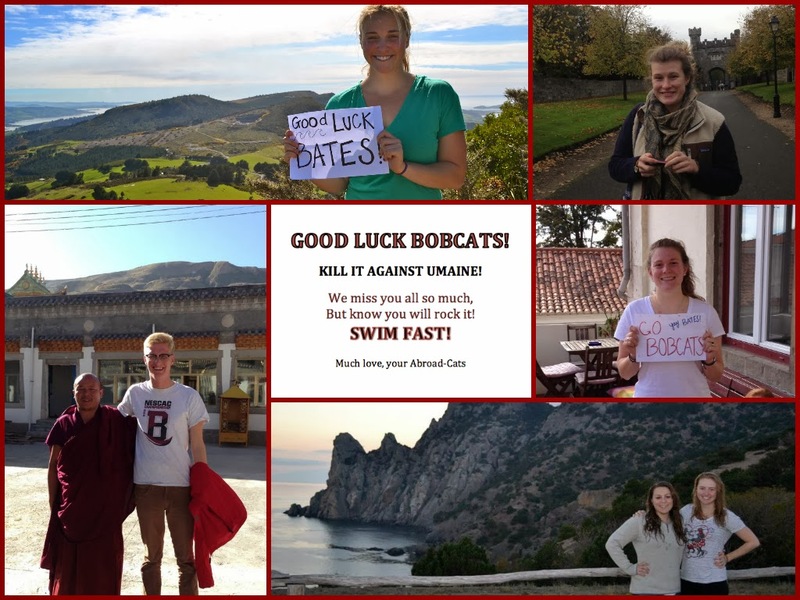 The Bobcat Chronicle: GOOD LUCK! Good luck against UMaine tomorrow! Not that you guys need it, based on the way the Bobcats decided to kick off the season against Wesleyan and Trinity (way to crush it). All of us abroad are super proud of our fellow 'cats, very impressed with pre-thanksgiving results, and pretty jealous of all the hard work and fun you guys have been having so far (we blog-stalk the chronicle). Sending all our love from far and wide across the globe! Can't wait to reunite with everyone in Florida! I can't wait to hear the coach's recap from this meet!